Animals and tourism don’t often play well together—at least not responsibly. Even Ringling Bros. Circus is retiring its elephants after nearly 150 years due to public concerns about treatment. People are becoming more aware, but sometimes it’s hard to tell the reputable organizations from those that put money ahead of animal well-being. This is especially true in poorer areas where tourism dollars can be too alluring to ignore. 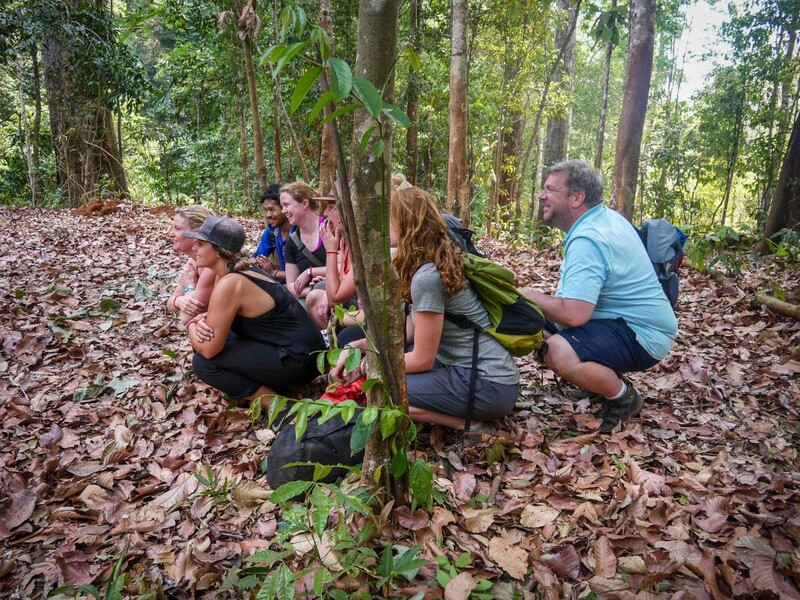 Here we’ll profile a place where tourists can walk through the forest to observe elephants in their natural environment while learning their stories. In this sacred place, there is no touching or riding the animals. You are simply a fly on the wall of their world, watching previously captive animals learn how to be elephants again. 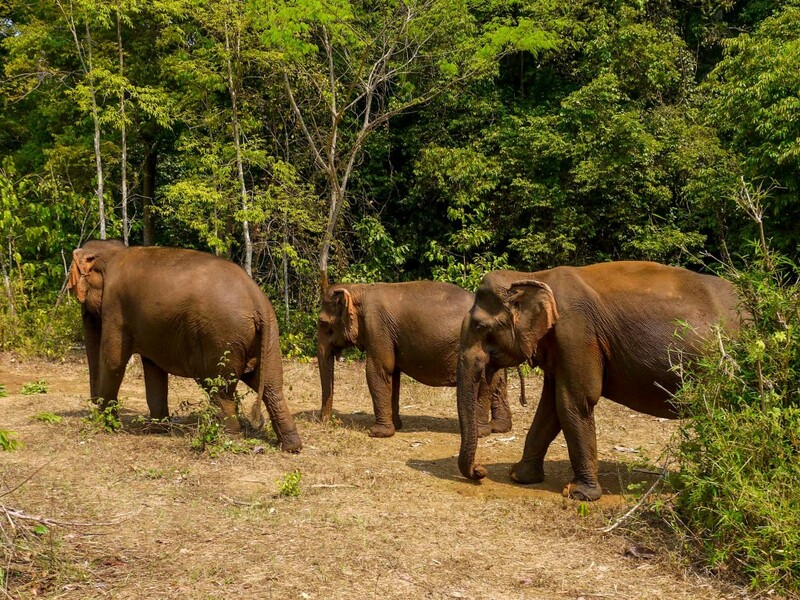 The Elephant Livelihood Initiative Environment (ELIE) is a registered NGO founded in 2005 by Jack Highwood to improve the welfare of captive elephants in Mondulkiri Province, home to the largest elephant population in Cambodia. 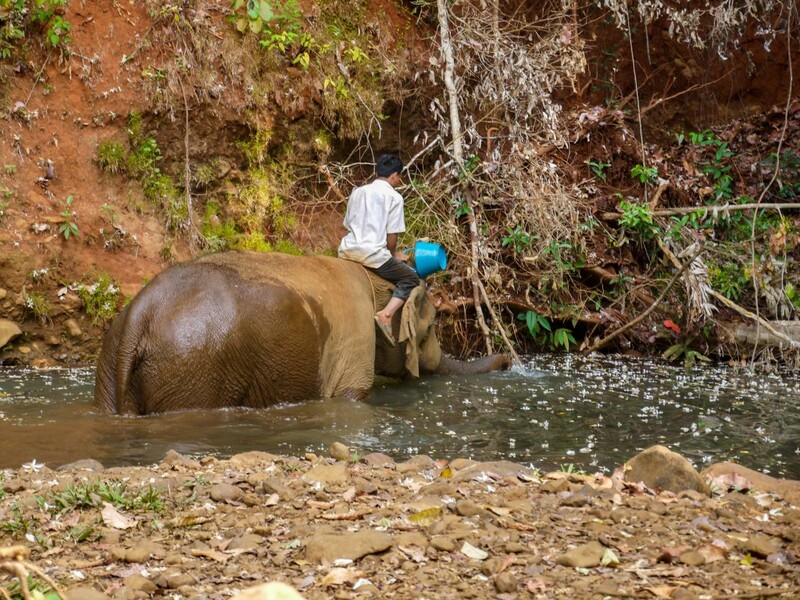 They started out visiting villages to offer elephant care and teach proper techniques to owners, but poor road conditions and flooding made trips difficult, leading to the creation of the Elephant Valley Project (EVP). The EVP is an area of the forest where elephants and mahouts (keepers) can come for rest and rehabilitation, or even retirement. Because of the money elephants bring in, they are often overworked and their needs neglected. Owners who bring their elephants to the EVP for a short stay of rest and medical care are compensated for lost wages from the animal not working, a critical incentive. If it’s time to retire, EVP pays the animal’s mahout a fair wage to continue working and caring for their elephant at the EVP where he or she can roam, eat, and socialize with other retirees. The valley, at about 650 hectares, is a collection of rented farms surrounded by other farms and forest, simulating the same environment where mahouts would normally care for their elephants. In addition to providing a sanctuary for the animals, the EVP also supports the local Bunong tribe by employing them, providing healthcare to their families and helping to protect their land. Jack and the EVP family have spent years building a trusting relationship with the indigenous Bunong, who have a very strong tie to the elephants and a vested interest in their preservation. Animals come from various industries including transportation, logging, hunting, and tourism. Some have bowed ribs and compressed spines from pulling too much weight, whereas others have knots and scars from carrying tourists around. Sambo, an elephant at the EVP, has foot pads worn so low from walking on the hot ground that she receives regular iodine treatments. In most cases, the elephants have been in captivity for such a long time that their normal instincts have been replaced by commands. They need to learn how to socialize and communicate with other animals again; some even need help bathing. The goal of the EVP is to provide a safe environment for reconnecting with those innate skills. If you want to watch these magnificent creatures in action, there are a variety of options. Programs are divided into visits and volunteerships. The EVP is about 10km away from Sen Monorom, the capital of Cambodia’s eastern Mondulkiri Province. A one-day visit includes transportation to and from Sen Monorom, lunch, and a full day of walking and observing the ellies. Your $85 donation goes towards maintaining the EVP and supporting larger ELIE efforts. Longer two-, three-, and five-day packages are also available. Volunteerships can be booked through their partner, Globalteer, and you can stay as long as you’d like, but 2-4 weeks is average. Accommodations and meals can be arranged on site, or volunteers can stay in Sen Monorom. For a taste of both worlds, consider their one-day visit/volunteer option where you can hang out with the elephants in the morning and volunteer in the afternoon. That will set you back a mere $55. Oh, and did we mention it’s tax deductible? The elephants you’ll meet as tourists are retirees, and each have distinct personalities. Easy Rider (nickname Easy) loves finding branches to scratch her itches. She’s also besties with Gee Nowl and they’re often found hanging around together. Milot is blind in her right eye and covered in scars, but she gives herself a mean mud bath. Ruby once carried lumber and cowered in the forest, but has now learned to walk tall and proud. There are currently nine retired elephants roaming the forest, many of which you can meet and admire when you visit. 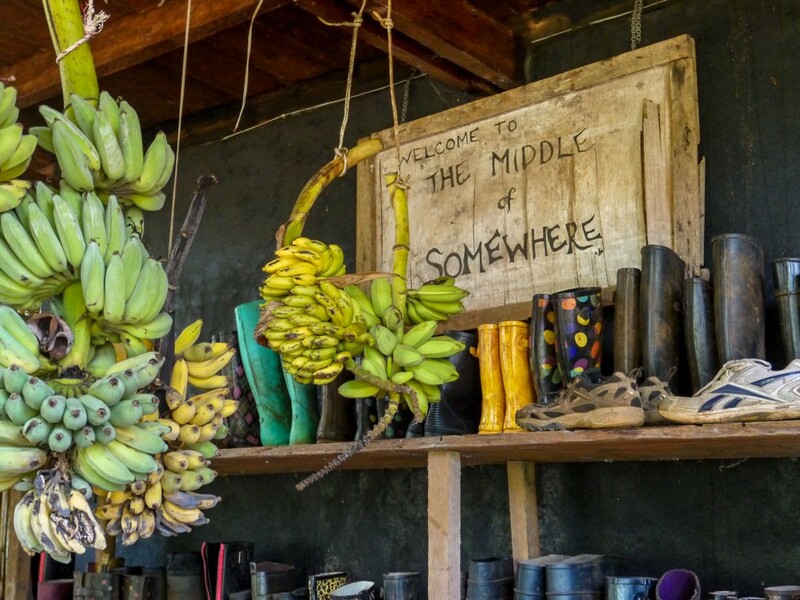 While the Elephant Valley Project is a well-respected outfit, travelers in the region need to do their research before deciding which organizations to support. You may want to find other volunteer projects in Cambodia, and the landscape is flooded. If the organization is a non-profit NGO, that’s certainly a good start, but even that is complicated in Cambodia, home to the second-highest number of NGOs per capita in the world. When volunteering, it’s always acceptable to ask where your money goes. If the organization is reluctant to answer, or if only a small amount goes toward animal care (vs. administration, fundraising, marketing, etc. ), that’s not a positive sign. Guidebooks often perform due diligence, so if a place is endorsed by Lonely Planet or Fodors, this is a good start. But more research and questions are needed. Organizations that let you ride, touch, or feed animals may require a closer look. It doesn’t automatically mean they’re endangering the elephants, but it could mean they place tourism ahead of conservation and this should spark further research. Lastly, do a good ol’ Google search. 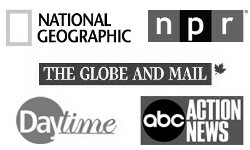 Look up the name with words like “negative,” “bad” or “controversy.” This may turn up information they don’t put front and center on their website. It’s not a perfect science, but with a little time on the computer, you can gather the bits and pieces needed to make an informed decision. Not only will you have an unforgettable experience, you’ll feel good about what you’ve supported. For more information about the Elephant Valley Project and visiting options, check out the organization’s website. If you’re looking to volunteer, you’ll want to organize through Globalteer. Travel Fish’s Sen Monorom free online guide is a good starting point to other finding things to do in and around the area. Consider supporting other GV vetted social enterprises while you’re in Cambodia. This project also has a fantastic Facebook Group with frequent updates about the elephants and shenanigans among staff and volunteers. Shelley Graner is a volunteer, traveler, and career-breaker who left in 2013. She is a former Kiva fellow and she shares her stories at Plans Subject to Change, on Instagram, and on Twitter @ShelleyG. She is also an active GV Ambassador helping map the world of projects worthy of support from the GV community.